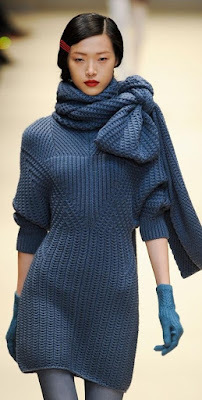 Must Try: Winter Knit dress (THE SWEATER DRESS) must haves, looks, tips & street style close-up! I personally love knits and sweater dresses. They are one of the most effortless, warm and cozy pieces of clothing you can wear this winter. Sweater dresses have a casual appearance, but if you know how to wear sweater dress, you can easily style it up. stunning designs of long, short, slim-fit, loose-fit, cable knit and ribbed knit dresses that will surely keep you warm after-hours. Give your closet a fashionable update with one of these pretty must-have designs for creating an easy, one-piece outfit. Dressing during winter can seem like such a daunting task but it doesn't always have to be. This look takes very little to achieve and being so comfortable it's one you should try. The great thing about sweater dresses is the million of styles, designs, knits, colours, prints and patterns they come in – making it super easy to choose one for any occasion, office and weekends included. They’re easy to style, to wear, to accessorize, to dress up or down. They go with bare legs and tights as well, hell even short shorts underneath if you wish. a sweater dress is the best thing to wear. You just pull it over, put some boots on, a coat and you’re done! Take a look at a few tips on how to wear a sweater dress below. Belted - As sweater dresses can be quite shapeless, try cinching them in at the waist with a belt. Creating this contour is a great way of defining your silhouette. For thicker knit dresses, create balance by teaming them with wider belts. If you’re going to belt your sweater dress, stick to looser-fitting styles. Layered - is just one way of how to wear a sweater dress. Layer a sweater dress underneath a structured coat, with thick tights, and a cosy scarf. The looser the sweater dress, the more structured your coat should be. To add extra detail, try popping a collared shirt on underneath your sweater dress. With Tights - Tights look great when paired with looser-fitting sweater dresses. Thick black tights are a staple, but also try branching out with patterned or coloured tights. To stay extra warm, add another layer by wearing a pair of knee-high socks over your tights. Accessories - A chic long statement necklace, drop earrings, or high-shine cuffs are all great ways of styling a sweater dress. When looking at how to wear a sweater dress, accessories are a great way of updating your look. With Boots - For an edgier take on sweater dressing, team them with a pair of boots. Ankle boots are all the rage this season, so a black leather pair with a thick heel is a stylish option. Alternatively, sweater dresses also look great paired with knee high boots. Texture - Play up the tactile factor and team your sweater dress with contrasting textures. A woolly sweater dress would look great paired with a sleek leather jacket. Alternatively, patent and high-shine metallic accessories would also work well to complement a sweater dress. 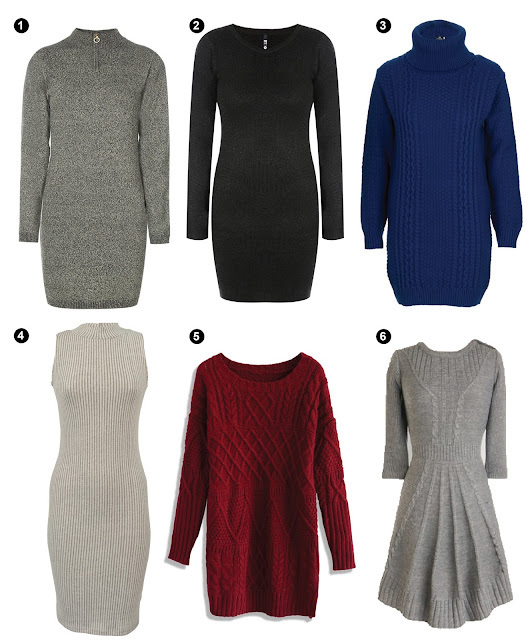 When looking at how to wear a sweater dress, make sure that it suits your body shape. Scroll through for great ways to wear your beanies this season, and a few tips to keep you looking fabulous. Use these outfits as inspiration to wear your beanie with confidence. What do you think? What are your best tips on how to wear sweater dress?